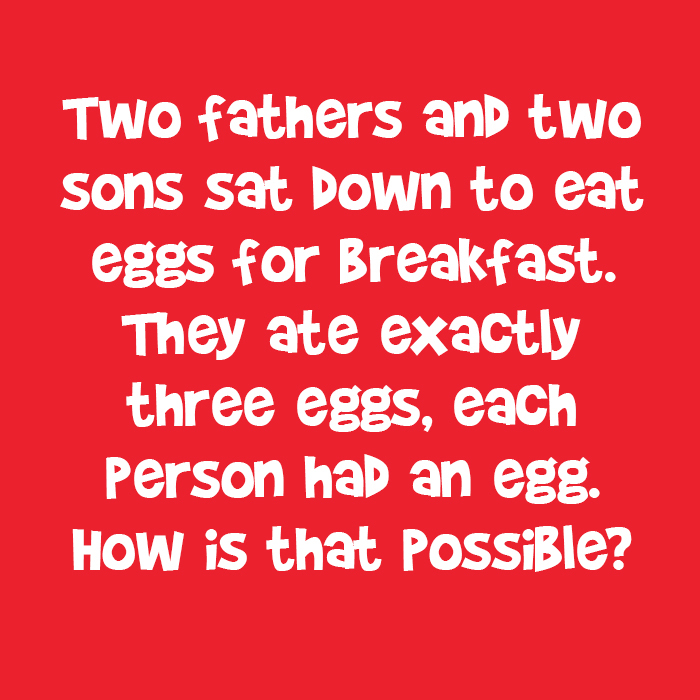 Two Fathers and Two Sons Sat Down to Eat Eggs for Breakfast. They Ate 3 Eggs, Each Person Had an Egg. How's that Possible? | Do You Remember? Two Fathers and Two Sons Sat Down to Eat Eggs for Breakfast. They Ate 3 Eggs, Each Person Had an Egg. How’s that Possible?